Looking for a reliable cleaning service in Chadwell Heath? Magic Carpet Cleaning is your choice. We are London based company with many years of experience. Our staff is certified and they strive to provide best cleaning experience with every job they take. Don’t worry about your children, our detergents are safe and environmental friendly. 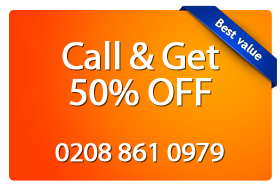 Just call us on 0208 861 0979 for more information. We have 24 hours customer support for your convenience. Our team will remove all of those ugly old stains on your carpet. Magic Carpet Cleaning technicians will do everything to satisfy your highest expectations. No harsh chemicals are used during our cleaning treatments – our detergents are made of natural ingredients. We make sure that our clients receive the highest level of care when it comes to carpet, rug and upholstery cleaning. We offer a wide range of Chadwell Heath RM6 carpet cleaning services including: dry cleaning, steam cleaning and deep carpet cleaning for all kinds of carpet. Even the most delicate rug, upholstery and carpet textures can be safely cleaned with variety of methods we offer. Our service team are available seven days a week and work in flexible hours. If you have specific information regarding our carpet cleaning services in Chadwell Heath RM6, feel free to contact our friendly staff on helpline and they’ll be happy to assist you! You will receive a free price quote on request. Fill free to use our on-line booking form as well.